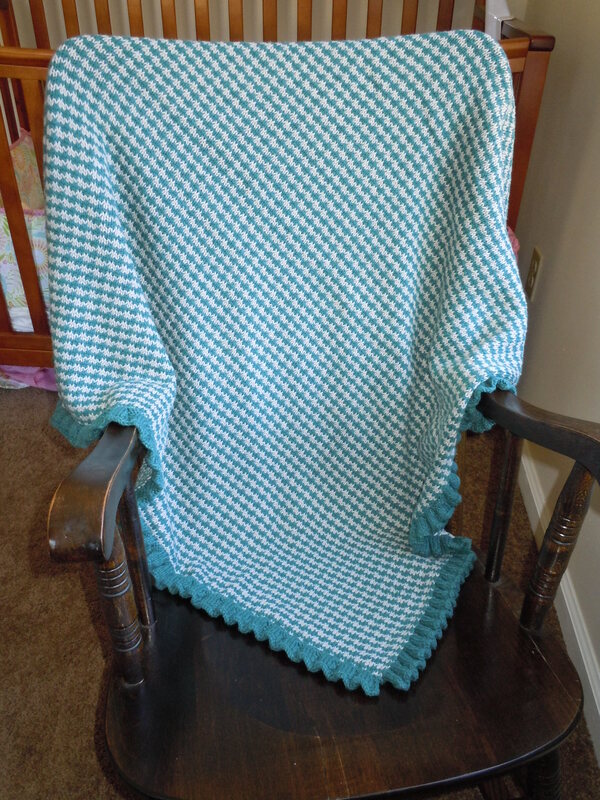 Houndstooth Baby Blanket – Finished! 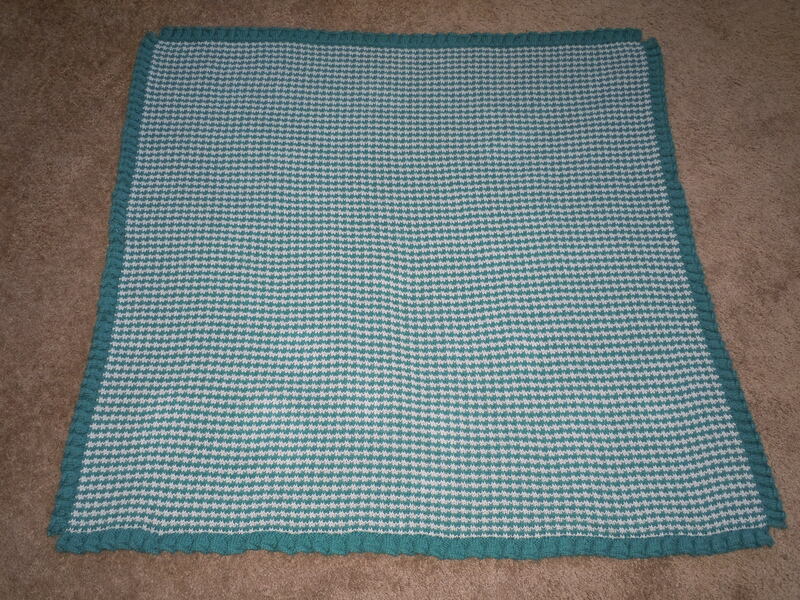 A couple days ago I finished my Houndstooth Baby Blanket. It was quite an undertaking, but well worth the effort. I used size 7 needles and Knit Picks Cotlin in “Harbor” (8 skeins) and “Whisker” (5 skeins). When binding off the ruffles, I used size 8 needles.